Raven Naturopathic Health Services is the private practice of Jason Clifford, ND. They opened on March 5th, 2015, with the goal of improving the lives of cancer and chronic pain patients in the Brampton and Mississauga areas. 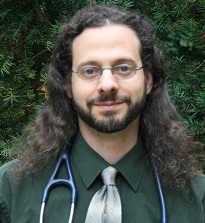 Dr. Clifford is a licensed Naturopathic Doctor with the College of Naturopaths of Ontario. He has met and is licensed under the additional Therapeutic Prescribing Standard of Practice, which allows him some prescribing rights. Dr. Clifford has been a Teaching Assistant for the Physical and Clinical Diagnosis course and has been on the forefront of leading physical examination techniques. He continually performs research and updates the skill-set of physical exams required for students. Physical exams can give us an insight into the underlying cause of the problem. They are worth doing right.